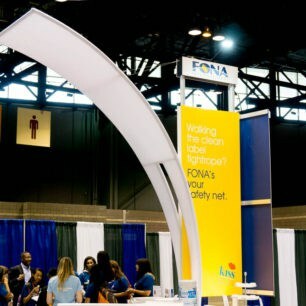 If you want to add some dimension to your booth or exhibit, choosing a curved backdrop is a great choice. 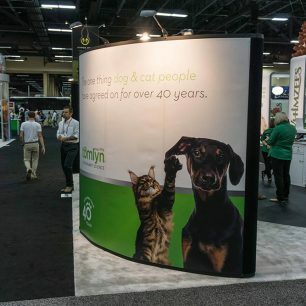 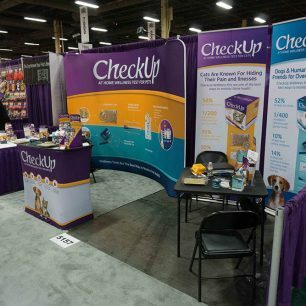 Displays that are designed with curved backdrops stand out from those that just have a plain panel or curtain type of background wall. 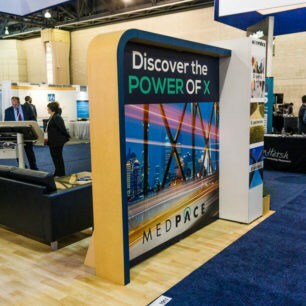 Often times, curved walls and backdrops can be rented and are extremely portable, making them not only unique but affordable as well. 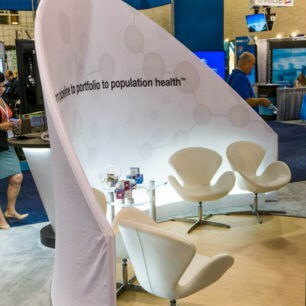 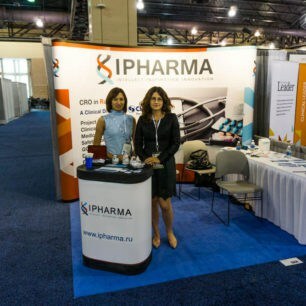 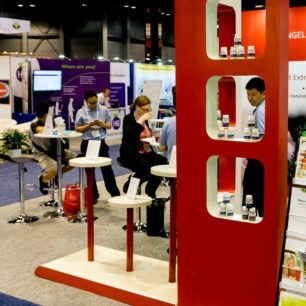 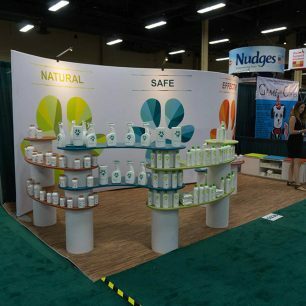 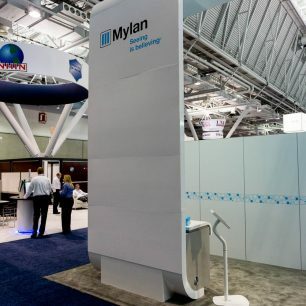 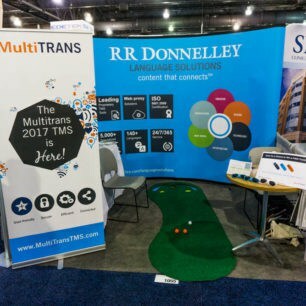 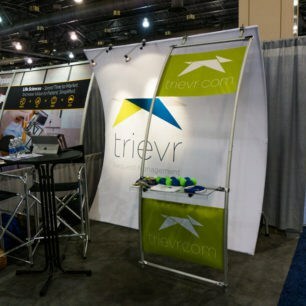 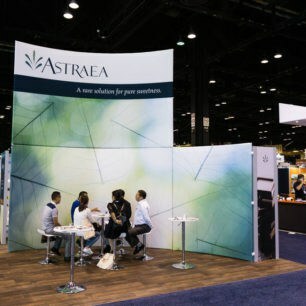 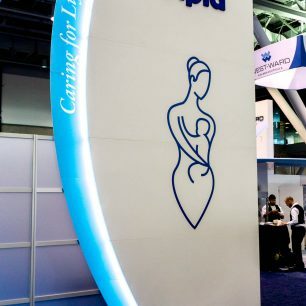 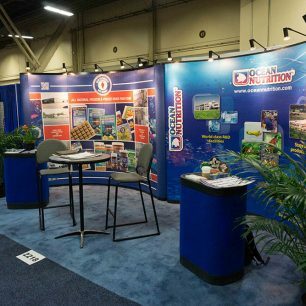 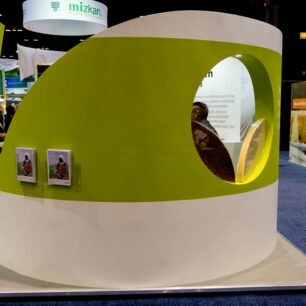 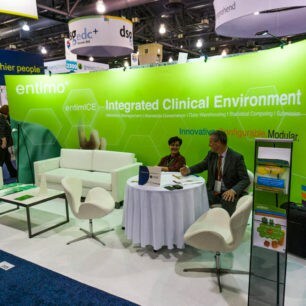 Browse through some examples of trade show booths featuring curved backdrops below. 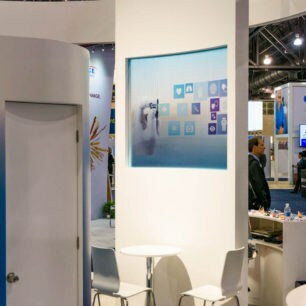 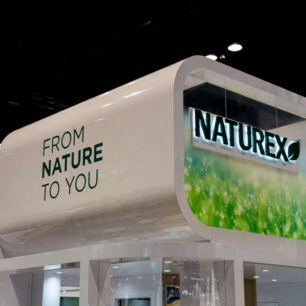 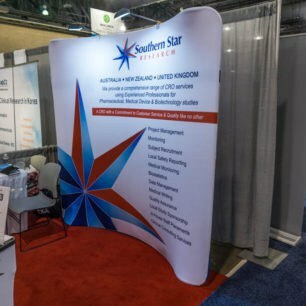 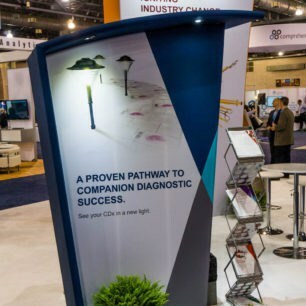 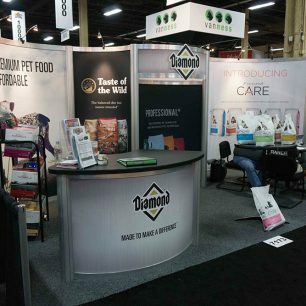 Also, check out other great options you have when designing your exhibit: backlit, glass, panels, fabric, and curtain.